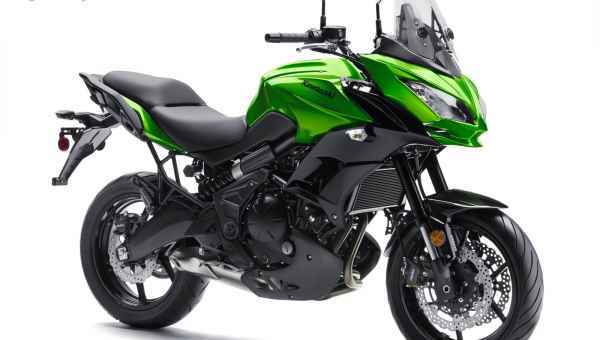 India Kawasaki Motors is ending the year with the launch of the much awaited Versys 650. The bike will be launched at Kawasaki’s Navi Mumbai showroom, on December 24, along with the 2016 range. The Versys 650 is a middle-weight touring motorcycle that will sit between the Ninja 650 and the Z800 when it comes to pricing. The Indian market has the Versys 1000 but it failed to attract the right set of audience who preferred the Triumph Tiger over this motorcycle. With the Versys 650, Kawasaki aims to get volumes, unlike the Versys 1000. The Versys 650 will be focused more towards the entry-level performance riders who are looking for a good touring machine. The Versys 650 is powered by a 649cc liquid-cooled parallel twin engine. This mill produces 69bhp at 8500rpm and 64Nm of torque at 7000rpm. Power is transferred to the rear wheel via a chain drive. The Versys 650 shares more than a few bits with the Ninja 650 and the ER-6N that are already on sale in India. This will help Kawasaki in terms of economies of scale. Once it is launched, the Versys 650 will be the first CKD Kawasaki motorcycle to ge the anti-lock braking system (ABS) as standard. Our sources say that the company is planning to price this motorcycle quite competitively as the company thinks there is a very good market for this bike. Stay tuned to BikeWale as we get you more information on the Kawasaki Versys 650.